Re: Raspberry Pi handheld VN console build. I spent a while last night tinkering and discovered that even under low load, the Pi 3 gets HOT, as in ~80 degrees celcius hot. Now, accoding to the tech specs, this little thing will HALVE the processor speed to 600Mhz if it exceeds 82.7 degrees. So my priority now, is to work out how best to keep this thing around 30 - 40 degrees, without adding a ridiculously oversized heatsink + fan combo. 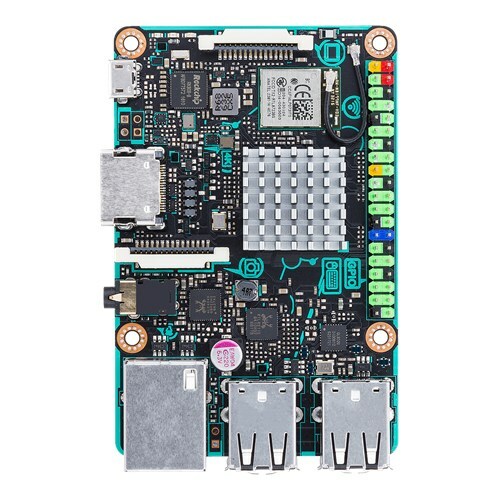 Now, the Tinkerboard is somewhat more pricey than the Raspberry Pi (probably not made in communist China) but it has the advantage of 2gb of RAM (meaning most of the heavier Ren'Py games should work on it) and a 1.8Ghz quad core CPU. Along with this, it includes an upgrade-able WiFi antennae and natively supports 4k UHD via HDMI. There is no mono audio with composite video, but there is stereo 192Khz 24bit Hyperaudio support and a microphone jack in its place. 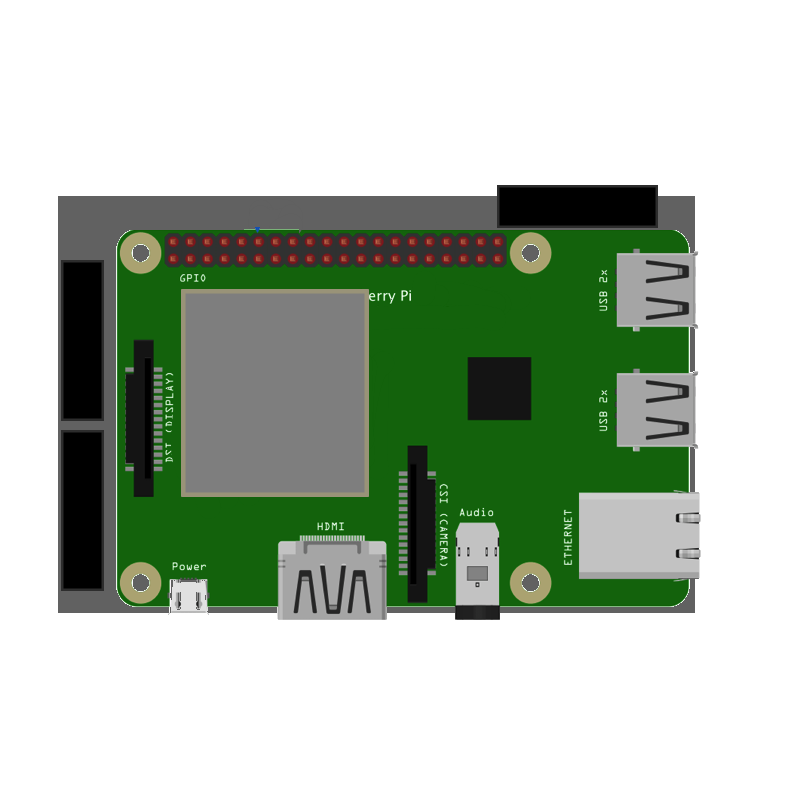 The rest of its features and specs (including shape, placement and form factor) are identical to the Raspberry Pi 3, except the lack of composite video. I'll look into this board more, but I think, for the sake of my original goal, the Pi 3 will do very nicely. For now, I'm off to buy some Arctic Silver (or whatever the best thermal grease I can get is) and some sort of aluminium or copper heatsink. Copper would be best, but its pricey. Also, I know I said I wanted to make sure others could replicate the same thing I build, and I've gone ahead and used a repurposed battery. Well, I took a look, and you can get a really decent Lithium battery pack for around 30 bucks(AUD) from element14. The dimensions are about the same as the Raspberry Pi, so it'd be a good fit. E: After some more research, I think making this thing handheld is going to be a challenge. So some thoughts on design are probably going to have to be rethought out. This allows greater dissipation of heat, but also keeps space required to a minimum. 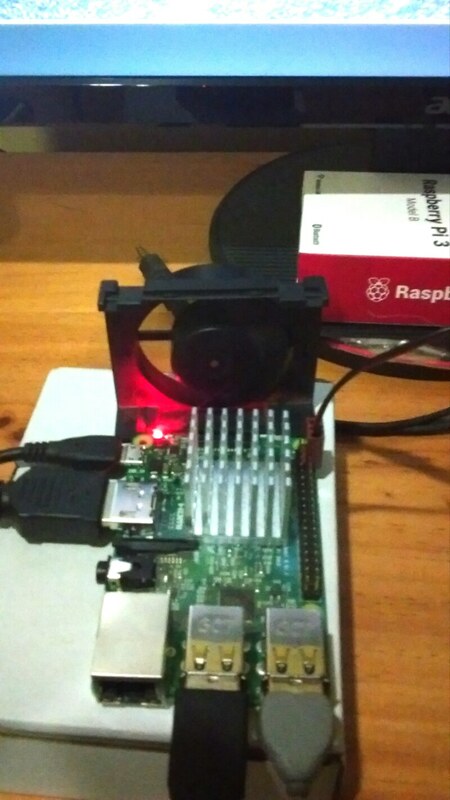 The setup brings the Pi down from ~80℃ to ~32℃. This is a major improvement of more than 50% and will ensure the CPU never throttles down to 600Mhz. Here's a shot of it while turned on. I guess avoiding multi-posting is gonna be unavoidable here. The more I try to fit a cooling system on this thing, the less "handheld" it begins to look. I can't squeeze any shallower on the depth without sacrificing cooling efficiency - which I am not willing to do. The grey square in the board represents the cooler/heatsink. This likely will change in future. Note: Image not to scale. Anybody got questions / tips / concerns? As a question - why are you trying to build this around a Raspberry PI? It seems like you'd probably get better results with a sufficently powerful android tablet, which you could then rebrand. Mostly for compatibility. Tablets run Android unless you shell out an unreasonable chunk of dough for a Windows one. Many Ren'Py games I see do not get an Android release. The other part is I wanted the experience. Lastly, I'm aiming for a five inch screen. I don't see any tablets under seven. I actually changed that design but haven't had time to post. It worked out better to simply purchase a 5v out, 3.4A (2.4A + 1A) li-po 12000mAh battery pack. I've been having immense difficulty installing Ren'Py on the thing though and am about ready to just scrap the whole idea. I'm pursuing a similar project of renpy on a raspi. You really don't need a vertical fan and heat sink though. Here's a 4cm tall enclosed setup I use for my RPi3 pitop. Its a 4cm fan and a heatsink (1.4x1.4x0.6cm) cut down from a mosfet I pulled from an old dvd player and held on for the past 6 months with unscented diaper-rash cream (I don't actually recommend that last part ). My vent holes are under the board. higher than your temp, but I'm sitting in 30C room right now . The graph shows a single benchmark, but it stays level at 55C on consecutive tests. Have you had any success setting Ren'Py up? So far I've had dozens of failed attempts and at one point I was ready to just throw everything in the garbage. My 5" TFT touchscreen display arrived yesterday, so I was hoping to fiddle with it tonight for half an hour or so. but that was on noobs v2.0.0 and I installed the experimental driver afterwords. I'll try 6.99 on a fresh rasbian install and see if I can write up a detailed walkthrough. I've not really updated this with the latest design changes, but I've changed a few things. I'm not sure what I already posted and don't feel like re-reading my posts, so I'll describe the project as it currently stands. At its rated 3.7volt storage, it lasts 44.4 Watt hours, which I am guessing should bring me roughly 15-18 hours of use with the Pi. Once I check the cable's rated voltage and amperage specs, I'll probably use that to secure the GPIO pins to the monitor. Handheld has gone out the window. With the Pi + monitor alone, this thing is 30mm deep. Stick on a 12mm deep battery and suddenly you've got one hell of a chunky handheld even before encasing it. So, I'm still aiming for portable, just this time a portable console. For a bit of retrogaming nostalgia, I've decided to make a case that resembles the PS1 from the SCPH-7xxx series, albeit smaller. No, not the PSOne, that "thing" was ugly. The CD lid will have to be recetangular and will hopefully house the monitor. Flippy ejection mechanism included. As to controls, aside from a touchscreen, I am hoping to include two buttons that will simulate left + right mouse clicks. At this point, I can see a dozen reasons this isn't gonna work with all Ren'Py games, but its been fun. The HDMI port will be exposed so a large screen can be used instead if desired. I need to work out how to automatically turn the 5" monitor off when it is unplugged, or at least allow access to the backlight switch to conserve power. The USB ports will also be exposed (maybe repositioned via an expansion header. More design ideas / changes may have been missed. Technical difficulties almost cause project fold. Last edited by Imperf3kt on Sun Jun 18, 2017 9:11 pm, edited 1 time in total. Aw. What happened that made you give up? I'm probably gonna cool off soon and retry, but currently I'm a little ... upset that I can't get pygame_sdl2 to work. This is one of Ren'Py's dependancies so without it I can't do jack squat. I'm not sure where things went wrong and the error messages I'm getting don't give me much to go on in order to work out why it won't work. I've been at this for a week straight with no luck and I'm getting thoroughly annoyed at having to reflash my SD card every night. I found this. Did PyTom have a hand in SDL2ś creation? fatal: destination path 'pygame_sdl2' already exists and is not an empty directory. /usr/include/python2.7 is not a symlink. Perhaps this script has already been run. Iḿ over this. I´ve been at this most nights for two weeks and I've had enough. To hell with this headache. Last edited by Imperf3kt on Sun Jun 18, 2017 9:14 pm, edited 1 time in total. Yes, I did. I don't support Raspberry Pi as a platform, however. in order. It looks like you're skipping steps, and that's why things aren't working. Running a virtual environment fails with the error "unknown command"
Everything except libjpeg-turbo8-dev installed or already existed. Libjpeg-turbo8-dev appears to be missing, so following the advice in the tumblr linked in my other thread, I installed libjpeg-turbo64 or whatever it was called. Next the github says "We strongly suggest installing the Ren'Py modules into a Python virtualenv"
"strongly suggest" so when it failed with 'unknown command', I assumed this step was outdated/incompatible with Raspberry Pi and not strictly mandatory. Which took a very long time. Which fails every time because I don't know why. This is where I've been stuck for 15 days, 3 hours every day. Hence, I'm pissed off / over it. $20USD via paypal to the firsr person who can give me instructions that work.